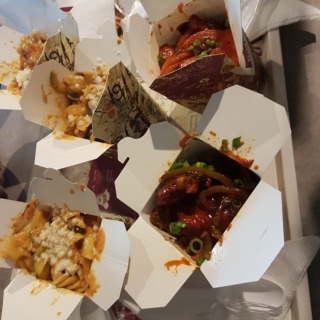 Their chicken wings are nice, their chicken and beef noodles are so yummy, and I'm a fan of their potatoes. But the service…Their chicken wings are nice, their chicken and beef noodles are so yummy, and I'm a fan of their potatoes. But the service wasn't that good, they can see how money people we are but they give less amount of gloves for us to eat the chicken!!! I know it's not a big deal but still it was a silly mistake to be considered!!! 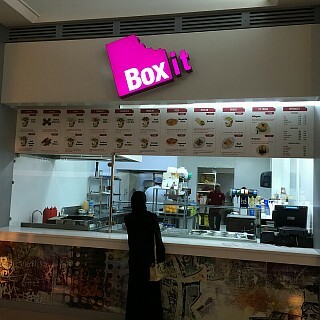 Box it Location: Ahlia University Small place located in AU Food court Staff: welcoming and offering help in term of…Box it Location: Ahlia University Small place located in AU Food court Staff: welcoming and offering help in term of choosing the best sauces and veg topping. Time: my order takes around 25 Minutes it's good time for a restaurant but considering the location, students usually have small breaks so its need to be faster. Food: i ordered chicken fried rice and chicken noodles with carrots and zucchini Noodles was normal and the chicken was small peaces and hard to find. 6/10 Chicken fried rice was delicious full of flavors and it brings back a lot of beautiful memories as i used to eat a lot of it during my study in India. 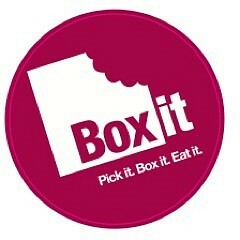 8/10 Portion: first look let you down and it feels like it is so small box but i find out that it packed with a saturated quantity. Ove all rating 7.5/10 Definitely will visit again for this fried rice and to try new dishes.